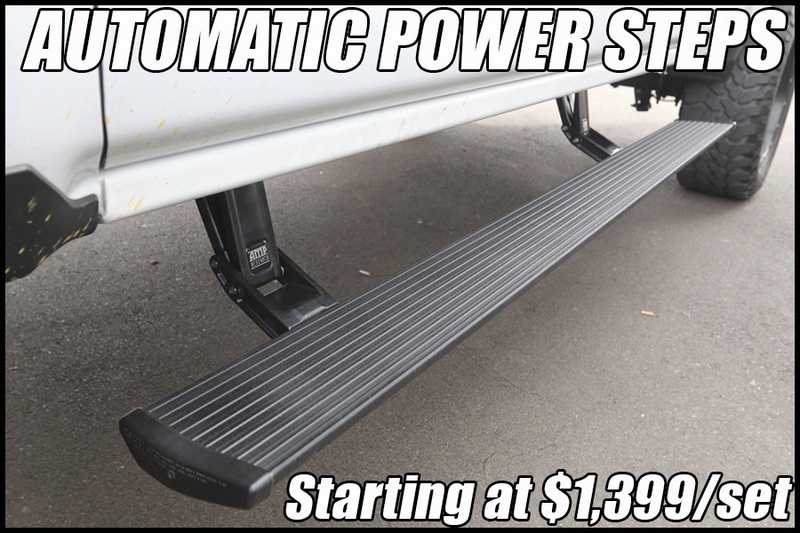 Power steps provide the lowest drop compared to any other factory running board or tubular nerf bar which are fixed to the truck. 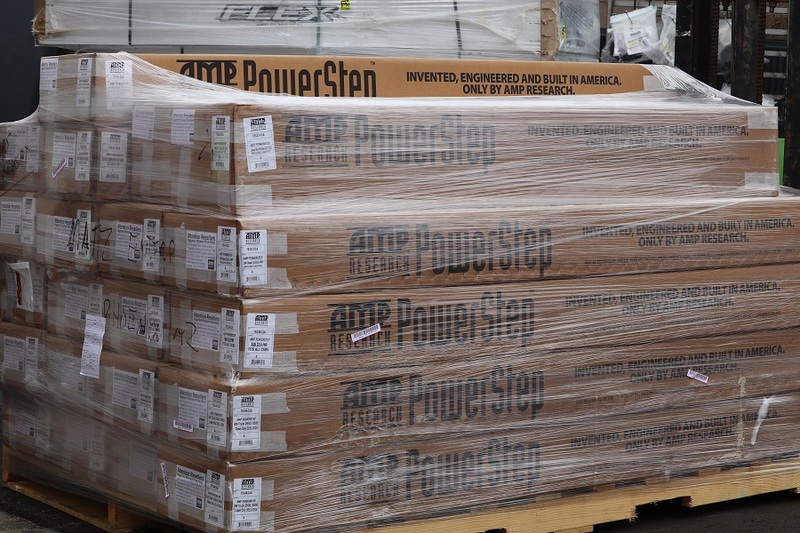 AMP PowerSteps are automatically deployed when the door opens and retract away when the door is closed. Max Truck Plus has expert running board installation service while you wait; 2-3 hours is typical time required for automatic running boards.